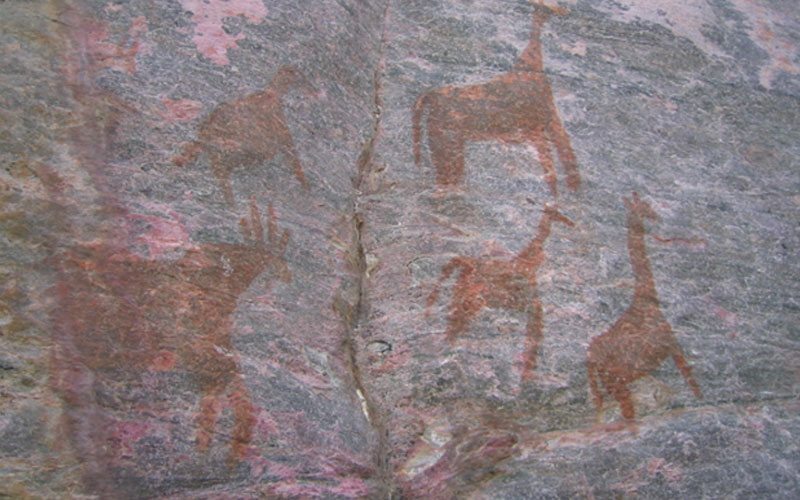 Tsodilo Hills is one of Botswana’s greatest treasures – an ancient San Bushmen rock art site that offers a once in a lifetime experience. You will travel for an hour to reach Tsodilo Hills from Nxamaseri Island Lodge, an excellent base for this adventure. From a distance you will see the silhouette of the hills rising out of the flat desert landscape, forming the highest point in Botswana. Excitement builds as you realise you are getting closer to an ancient, sacred San Bushmen heritage site. Tsodilo Hills are massive quartzite rock formations that have developed from ancient sand dunes to the east and a dry fossil-lake bed to the west, in Botwana’s Kalahari Desert. On arrival, your experienced and knowledgeable San Bushmen guide will lead you around the world heritage site. There is no one better to explain the ancient rock art than him. Immediately you are captivated and drawn into this spiritual place where evidence indicates that the earliest human occupation occurred in the Middle Stone Age. 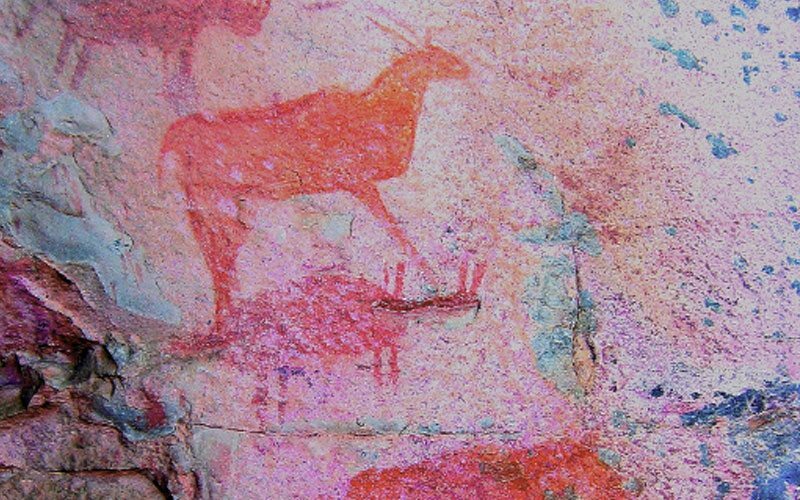 You learn how these hills are sacred to the San Bushmen people of Northern Botswana and are adorned with over 2000 ancient paintings. These paintings are naturalistic and schematic in style, and have a variety of geometric symbols. 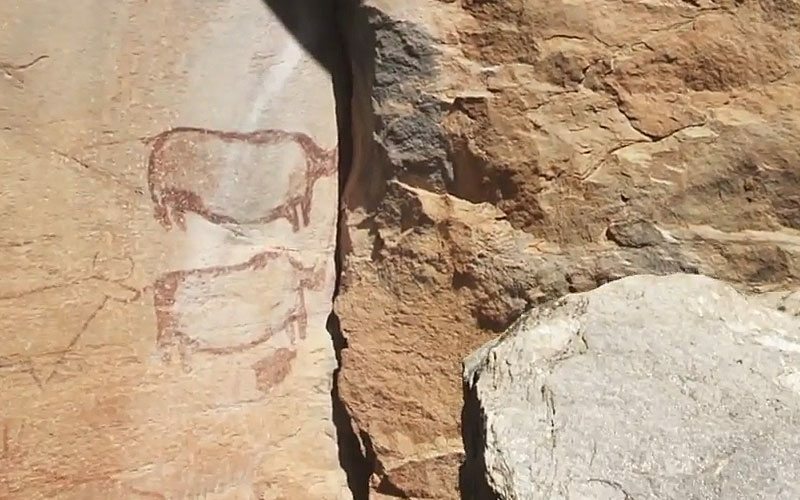 The guide explains the thought processes of the San Bushmen and how their rock art paintings came about. 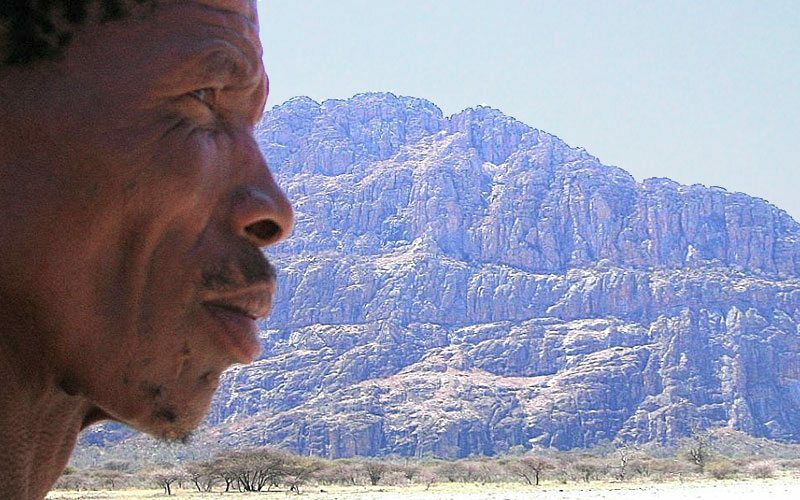 The San Bushmen believe that it was from the backs of these hills that people first came to earth and for them it is one of the only places one can reach the Great God in the Eastern sky. It is fascinating to hear that there was use of non-local raw material by Tsodilo’s inhabitants during the ancient time of the San Bushmen and this suggests that contact and some form of trade exchange has existed at Tsodilo for many thousands of years. On Nxamaseri’s day trip you will enjoy a wonderful packed lunch at the hills and have plenty of time to absorb the atmosphere and view. On your walks around the hills you can appreciate the many interesting rock art paintings. In the late afternoon you will return to the lodge, in time for the evening boat cruise. In contrast to the cool Nxamaseri waterways, Tsodilo is a dry Kalahari, arid experience. A visit to these hills gives you the privilege of being able to see and feel, however briefly, the essence of an ancient culture, fragile and increasingly threatened in the face of pressure from the Western world. Near the Okavango Panhandle in North West Botswana. Winter (June to August) is the best time to visit Tsodilo Hills as it is far cooler, but you can come at any time. Tsodilo Hills is just one hour from Nxamaseri Island Lodge on the western side of the Okavango Delta. The lodge offers fully-catered and guided day-trips to explore the hills, savour the ambience and view the paintings. A Tsodilo Hills excursion should be booked in advance with the lodge when making your reservation. By Pippa Briers-Danks, assistant manager of Nxamaseri Island Lodge.